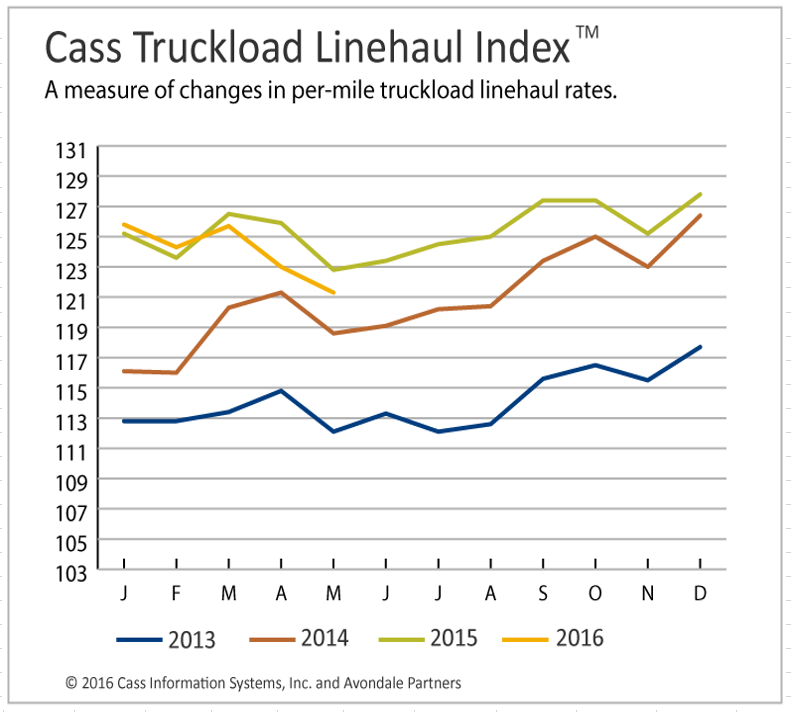 The Cass Truckload Linehaul Index is down for the third consecutive month. The index fell another 1.2% year over year in May after declines of 0.6% and 2.3% in March and April respectively. 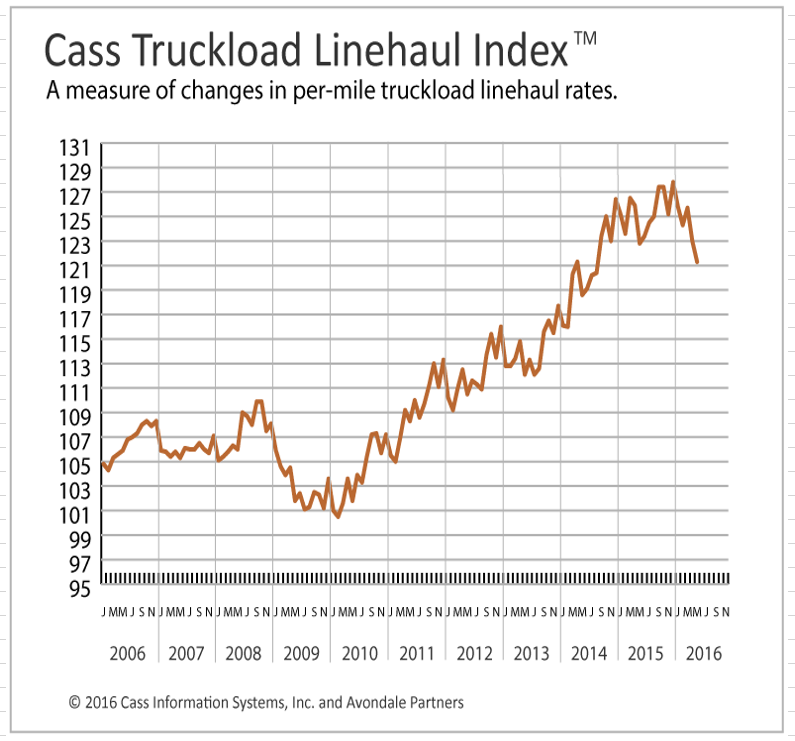 With three consecutive months of price declines, the domestic truckload market continues to face softer demand and excess capacity. 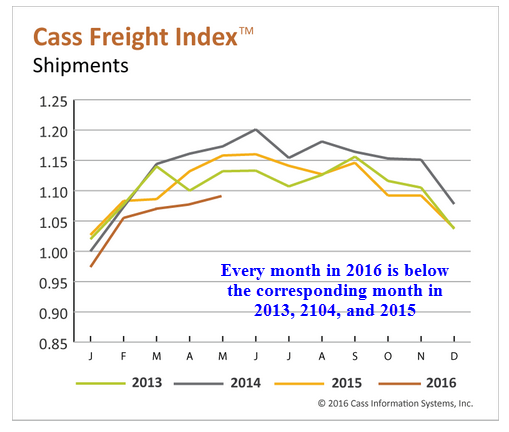 The Cass Freight Index is a measure of North American freight volumes and expenditures. That index is anemic compared to prior years. The freight index for every month this year is below the respective values for 2103, 2014, and 2015.